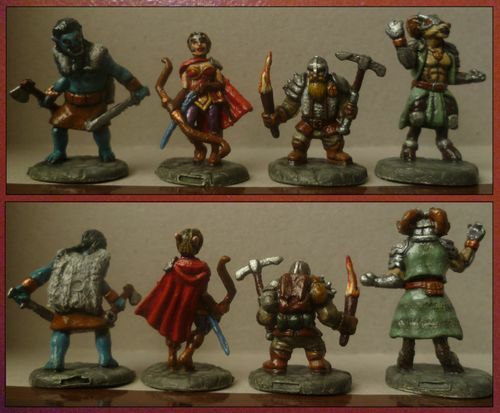 The Golden Turtleback Painted Miniature contest for miniatures painted in October 2013. 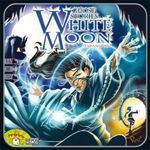 Win Geek Gold and an exclusive microbadge! 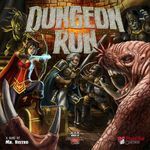 You are once again invited to take part in the monthly Golden Turtleback miniature painting contest. I'm merely keeping the seat warm for this month until Cerith returns. 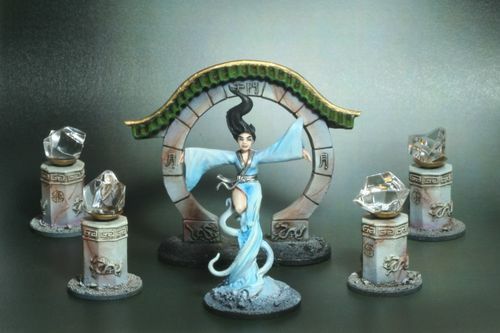 1) Add the game of the miniature you painted as an item to the list. 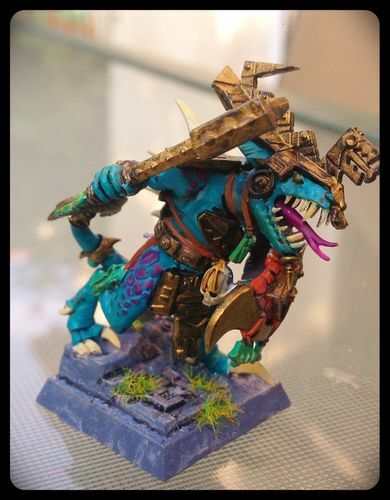 2) Add the picture of your painted miniature in the comment section for that game. That way people will be able to better judge your work. Medium should be sufficient please do not use large. 1) The image you submit must have been uploaded during October 2013. Gallery images are ok but submitted images are preferred. As they've gone through the geek mod process it guarantees the picture quality and it's also easier to check the submission date. The contest will end on November 30th. 2) You are the artist. 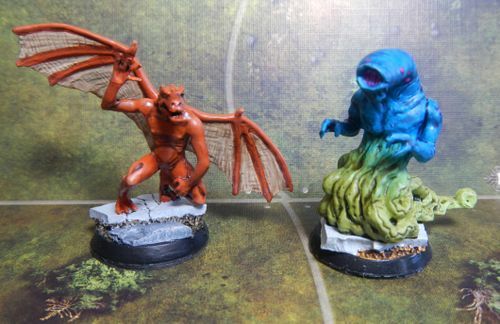 Do not submit miniatures painted by someone else. 3) One entry per person. 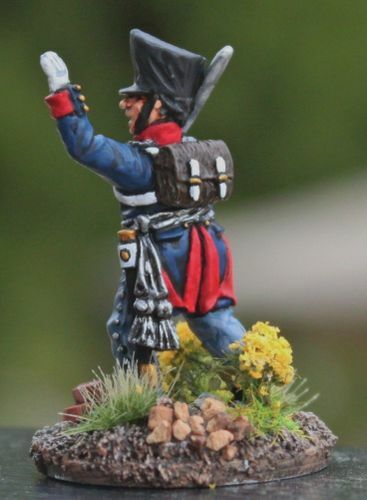 You may, however, use up to two pictures of your entry to the front and back of the miniature. 4) The winner will be the picture with the most thumbs. You can thumb as many as you like. 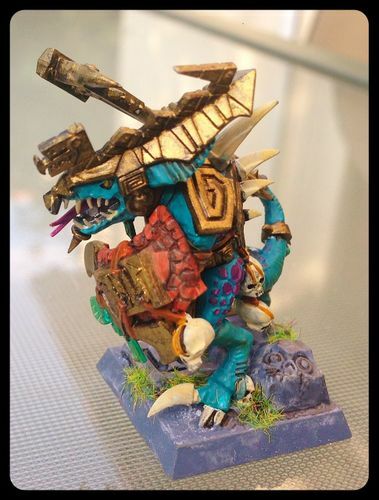 5) If you can; include the make of the mini, scale and what paints you used in your entry. Unfortunateley I'm reliant on tips to offer decent prizes at the moment as I don't have a huge amount of geekgold. Note I have altered this at my discretion - this may change when Cerith retakes the reigns. Encouragment awards will be given to non-placing worthy entries with a bias to new participants. I'll round down tips and put the remainder towards future prizes. Judging at the end of the month and winners will appear in the next months list. 1st place will now also receive an exclusive microbadge! 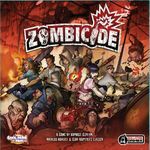 Please give this geeklist a thumb to help get it to the front page. The more contestants the better! And don't forget to click on the images you like and give the actual images thumbs up as well! for making us aware of this. Giles also found this useful website http://www.how-to-paint-miniatures.com/ it's full of useful tips on painting. Attention anyone feeling too daunted to enter! We now have on offer for entries finishing outside of the top three so enter even if you think you don't stand a chance of winning. This will be awarded at my discretion and probably split amongst several entries. Our more experienced painters will be able to offer advice and several people have already said they've learnt something simply by seeing their work next to work they consider to be of a higher standard. So please enter anyway, you've really got nothing to lose. The miniature is by Calpe and was painted with Vallejo, P3 and Foundry paints and old GW washes and old old GW inks. Basing materials include Bricks from Secret Weapon, flowers, rocks/ballast and grasses from various model railway scenery providers and a few tufts from the Army painter. 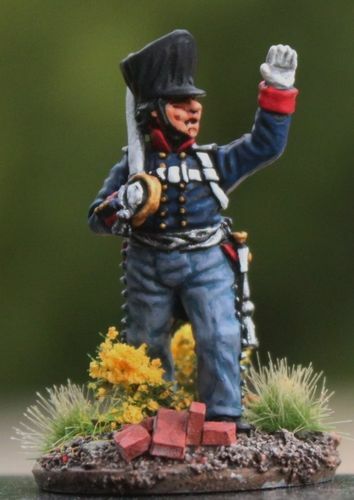 The Prussian napoleonic range by Caple is simply superb. I highly recommend them to anyone considering minaitures for this era. 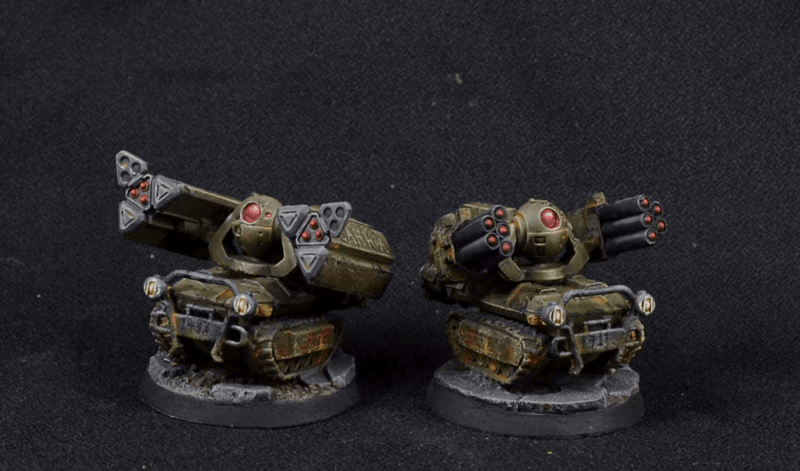 A couple of units for Dystopian Wars by http:/www.spartangames.co.uk - quickly becoming an absolute favourite game of mine. 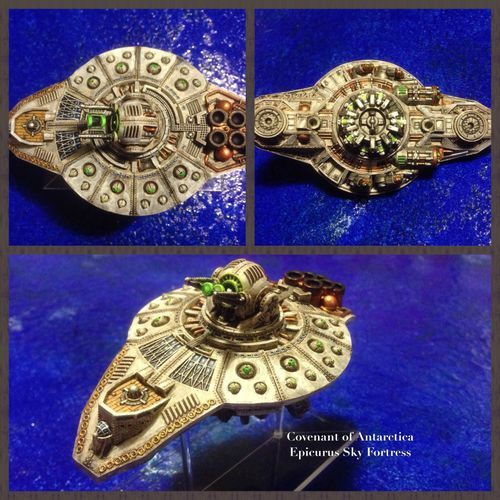 A Covenant of Antarctica Epicurus Class Sky Fortress. 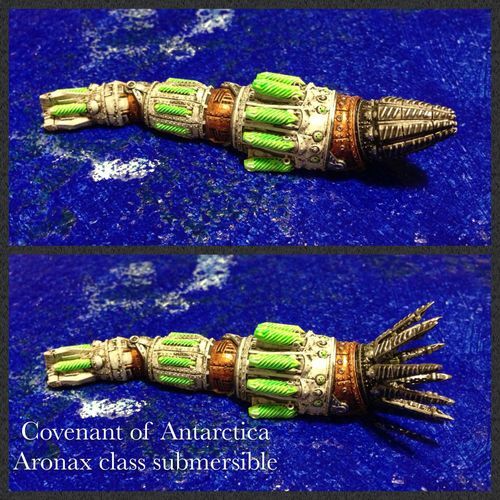 A Covenant of Antarctica Aronax class submersible robot. Shown with both an open and closed 'mouth' - the pieces have been magnetised so they can be swapped during the game. These models have been painted using mainly Army Painter Paints, and a small mix of Vallejo paints and washes. 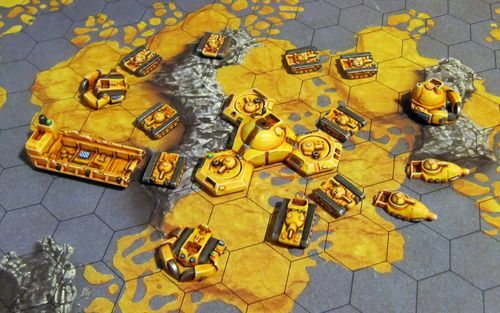 Dystopian Wars is a great game, and the Covenant are the most futuristic of the superpowers in this steam punk setting. A really fun game that manages to neatly cover submerged models, surface models, skimming models, flying models and models that are flying obscured (very high up) and all very easily. Great game! The models themselves are highly detailed - little doors and so forth on what are supposed to be 1/1200 scale models - they are daunting and a pleasure to paint, and Spartan seem to be going from strength to strength - really nice stuff! The board they are sitting on, by the way, was made by painting 4x2 sections of wood white, deep blue, stippling with lighter blue and white, and then a glass coat over the top which I also applied a stippling effect to - I can't take credit thinking of this, there's a mighty fine youtube tutorial showing how it's done. A more in depth blog post is here: http://castlebymoonlight.blogspot.com.au/2013/06/the-8th-sea... - including a link to the youtube video. 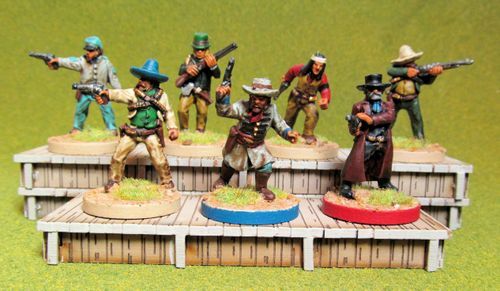 Donnington 15mm figures, paints and basing materials by various. Do click through and look at the full resolution, I think the picture benefits from that. More talisman miniatures this month. I love them. 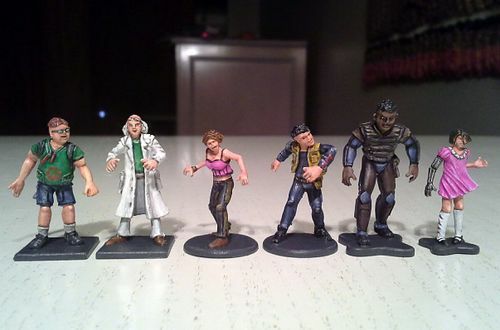 I painted up this set for a friend. Not the best picture, since it was taken with my phone, and I did some small corrections afterwards. The game is pretty much based on the cube movies. Elven Regulars from War of the Ring. These are about 25mm from head to toe. Painted with Citadel and Vallejo paints. Here's my entry this month, these have been painted with a variety or techniques including acrylics, oil washes and dry pastels. Edit: did I mention I re-based them all too? Paints used: mostly Vallejo Model. 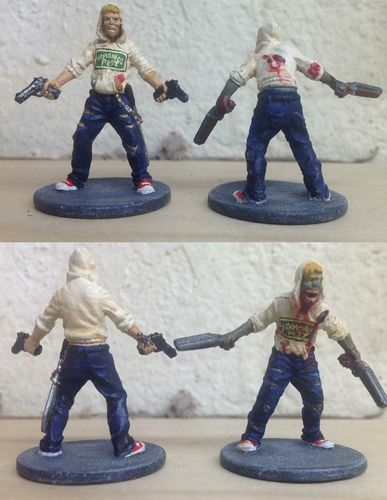 One of the walker of zombicide, painted with Cidatel and Vallejo paints. Model is from Mantic, 28mm scale (though the big insect is definitely more ), all painted with GW paints. I did some more Infinity last month! 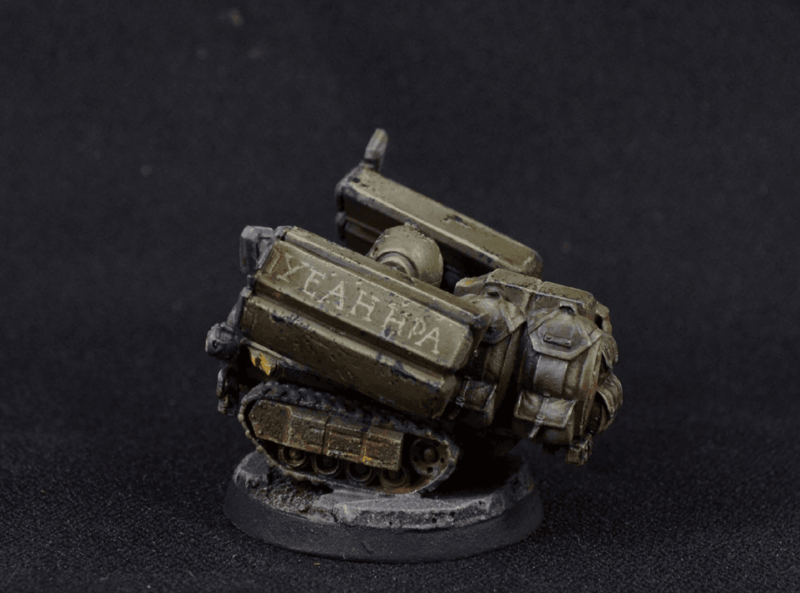 This time, I painted some Traktor MULs, for the Aridnan (USA/UK/Russian) faction. I really wanted these to look beaten and battered, like they've been involved in a months-long campaign during weather. It gave me an excuse to work on my battle damage and weathering. I also did some more freehand work, and it didn't turn out half-bad. Probably took me a good 4 hours per model. I used primarily Vallejo paints, along with some GW and Formula P3, and I used Vallejo weathering pigments to simulate rust on the tracks. Thank you to everyone for thumbing my works; the support of the community here is much appreciated! 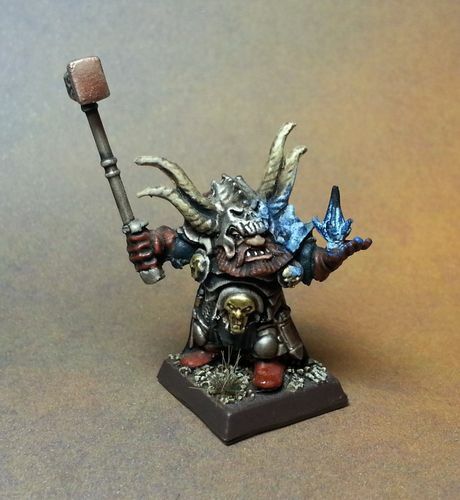 A Chaos Dwarf Sorcerer. My first use of object source lighting on a mini besides just glowing eyes or smaller things such as that. As usual, I paint the Boss's base blue and the Gunslinger's base red so they stand out and the danger can be easily recognised. Paints are Vallejo and Army Painter Dip. The boardwalk scenery is from DMH and made by 4ground. I don't necessarily believe that he was inspired by Jesse Pinkman but I do like to think that he is. Hopefully I did this well enough that Breaking Bad fans will recognize the logo. Painted with americana, reaper, Vallejo, paints and citadel shades. I'm very new to painting so go easy on me please : ) I'm working on basing them soon! He is painted in Citadel and Vallejo paints. 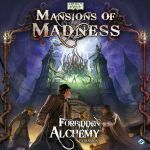 In October I painted the minis for MoM: Forbidden Alchemy. 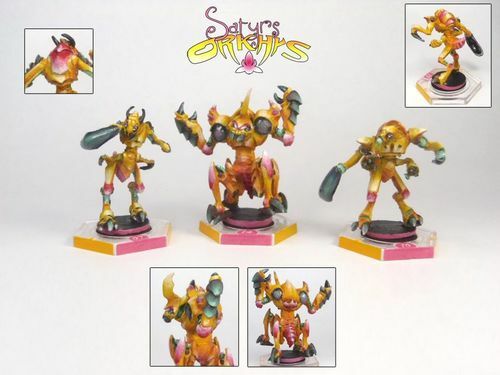 I wanted to submit my Crawling One to this contest but I forgot to take a good pic of it alone... It is the right one in the picture.